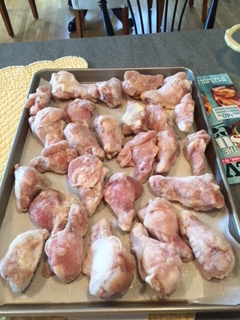 The summer squad gets together on Friday evenings and my husband suggested we bring hot wings to the party. 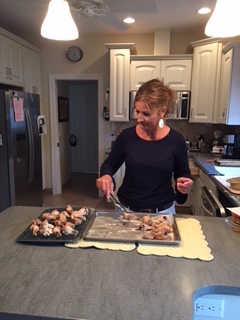 I agreed because wings appeal to all ages and serve a large crowd. 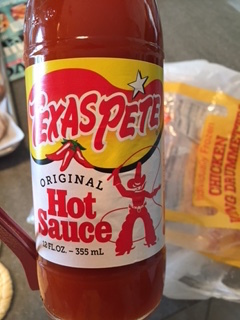 I found the recipe on the back of the hot sauce bottle and it was a cinch to make. Three ingredients are all that is needed to make this awesome dish. Melt butter and hot sauce in a pan on the stove until butter is melted. 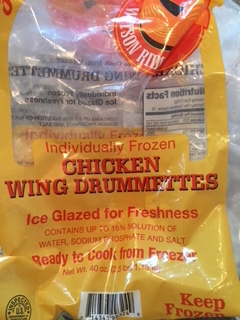 Meanwhile, bake the drumettes according to package directions. I baked them at 350 degrees for 45 minutes and then 15 minutes at 375 degrees to get them to brown up nicely. them on the overcooked side, because you can never be safe with chicken. 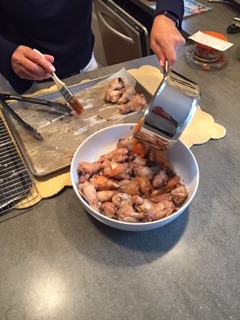 When the drummettes were done baking, I was planned to transfer them to a wire rack to then baste them with the hot sauce/butter mixture. 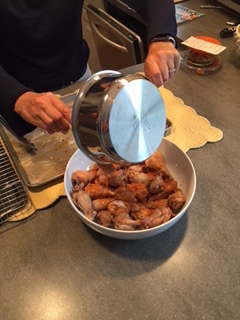 I quickly realized that I should just drench the wings in the yummy hot sauce mixture for the best flavor. So, skip this step and just throw them all in a large bowl. Dump them all in a large bowl. 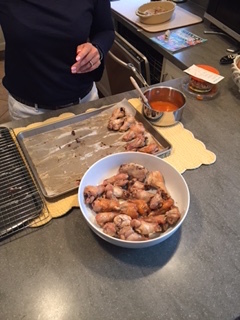 Then douse the whole bunch of chicken with the whole pan full of hot sauce/ butter yumminess. Serve hot with lots of extra hot sauce for those people who appreciate it spicier. 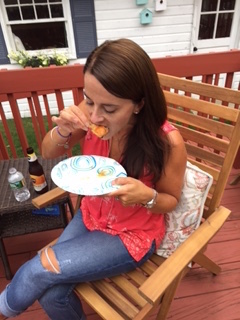 One of my happy customers! As I mentioned at the top of the post, the squad consists of our beach friends, new and old, who are truly the heart of our beach experience every year. It is hard to explain how these people unconditionally welcome us, year after year, into the social fold of Cornfield Point. 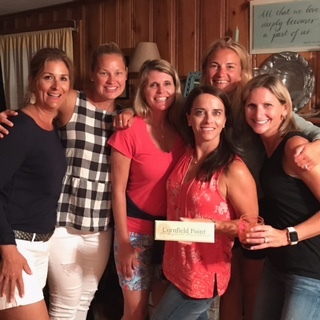 Our family has gathering at this beach for over 70 years, and so have the families of these fine women. 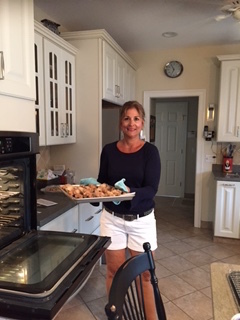 Whether we meet each day at the beach to soak up the sun, gather for the amazing nightly sunset, stroll to bingo, craft night, field day, or party on Karen's back deck on Friday nights, I can fraternize at the drop of the hat. These people make summer days and nights so special that Audra and I long for them the other 10 months of the year. This isn't goodbye yet, but it is the official picture of summer 2017. I love our squad, keep smiling! !